IJOY Saber 100 Kit, which comes with portable size with OLED screen to display status of vape. Innovative diamond coil will offer faster heating speed for huger clouds and pure flavor. 5.5ml capacity with an extra 4ml tank to avoid refilling frequently. 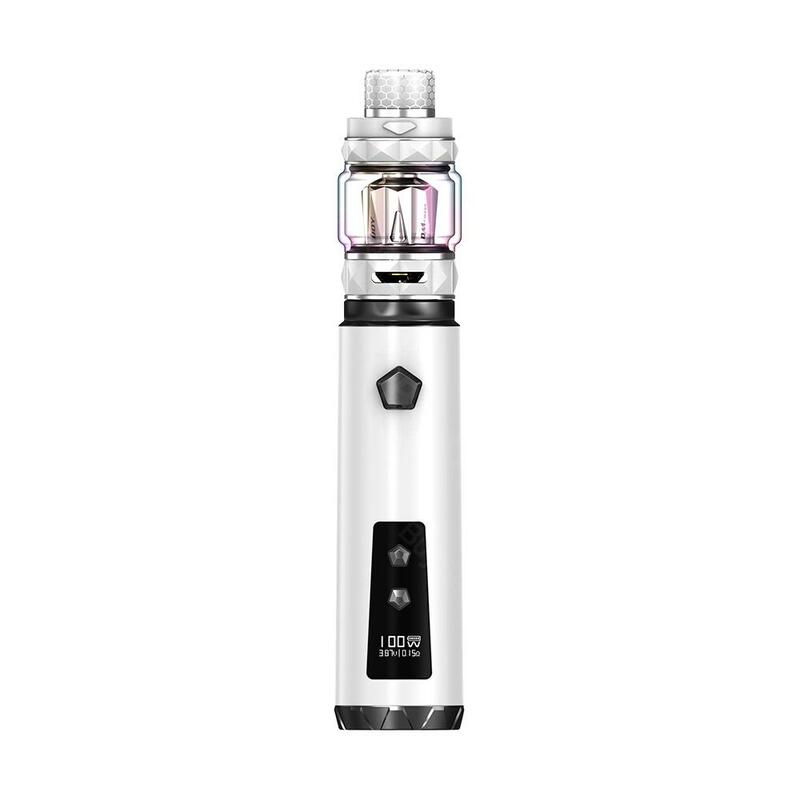 100W IJOY SABER Kit, which comes with portable size with OLED screen to display status of vape, adopts 20700 battery with 18650 adapter to avoid inconvenience. Innovative diamond coil will offer faster heating speed for huger clouds and pure flavor. 5.5ml capacity with an extra 4ml tank to avoid refilling frequently. 180-degree screw-cap design for easy refilling and here are 10 colors for selection. • No liquid or 18650 battery. • 3 month warranty for 100W IJOY SABER Kit.